The Communist Party of China (CPC) is the founding and ruling political party of the People's Republic of China. 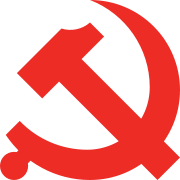 The Communist Party of China is the sole governing party of China, permitting only eight other, subordinated parties to co-exist, those making up the United Front. It was founded in 1921, chiefly by Chen Duxiu and Li Dazhao. The party grew quickly, and by 1949 the CPC had driven the nationalist Kuomintang (KMT) government from mainland China after the Chinese Civil War, thus leading to the establishment of the People's Republic of China. It also controls the world's largest armed force, the People's Liberation Army. The CPC is, officially, organized on the basis of democratic centralism, a principle conceived by Russian Marxist theoretician Vladimir Lenin which entails democratic and open discussion on policy on the condition of unity in upholding the agreed upon policies. The highest body of the CPC is the National Congress, convened every fifth year. When the National Congress is not in session, the Central Committee is the highest body, but since the body meets normally only once a year, most duties and responsibilities are vested in the Politburo and its Standing Committee. The party's leader holds the offices of General Secretary (responsible for civilian party duties), Chairman of the Central Military Commission (CMC) (responsible for military affairs) and State President (a largely ceremonial position). Through these posts the party leader is the country's paramount leader. The current paramount leader is Xi Jinping who was elected at the 19th National Congress held in October 2017. The CPC is still committed to Communism and continues to participate in the International Meeting of Communist and Workers' Parties each year. 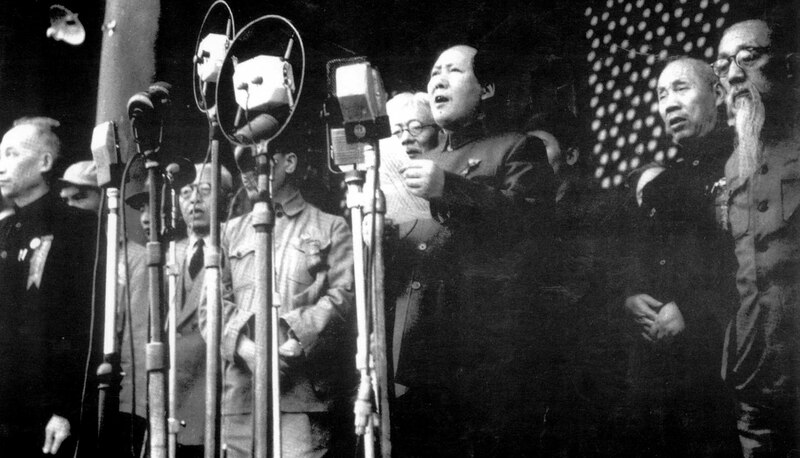 According to the party constitution the CPC adheres to Marxism–Leninism, Mao Zedong Thought, socialism with Chinese characteristics, Deng Xiaoping Theory, Three Represents and the Scientific Outlook on Development. The official explanation for China's economic reforms is that the country is in the primary stage of socialism, a developmental stage similar to the capitalist mode of production. 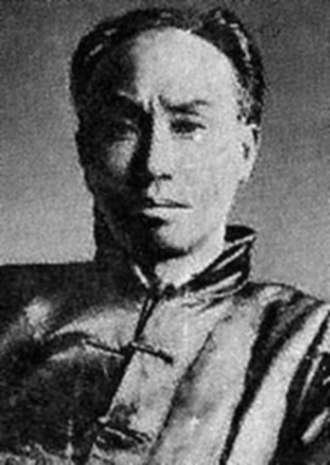 The planned economy established under Mao Zedong was replaced by the socialist market economy, the current economic system, on the basis that "Practice is the Sole Criterion for the Truth". Since the collapse of Eastern European communist regimes in 1989–1990 and the dissolution of the Soviet Union in 1991, the CPC has emphasized its party-to-party relations with the ruling parties of the remaining socialist states. While the CPC still maintains party-to-party relations with non-ruling communist parties around the world, since the 1980s it has established relations with several non-communist parties, most notably with ruling parties of one-party states (whatever their ideology), dominant parties in democratic systems (whatever their ideology), and social democratic parties. To join the party, an applicant must be approved by the communist party. In 2014, only 2 million applications were accepted out of some 22 million applicants. Admitted members then spend a year as a probationary member. In contrast to the past, when emphasis was placed on the applicants' ideological criteria, the current CPC stresses technical and educational qualifications. To become a probationary member, the applicant must take an admission oath before the party flag. The relevant CPC organization is responsible for observing and educating probationary members. Probationary members have duties similar to those of full members, with the exception that they may not vote in party elections nor stand for election. Many join the CPC through the Communist Youth League. Under Jiang Zemin, private entrepreneurs were allowed to become party members. According to the CPC constitution, a member, in short, must follow orders, be disciplined, uphold unity, serve the Party and the people, and promote the socialist way of life. 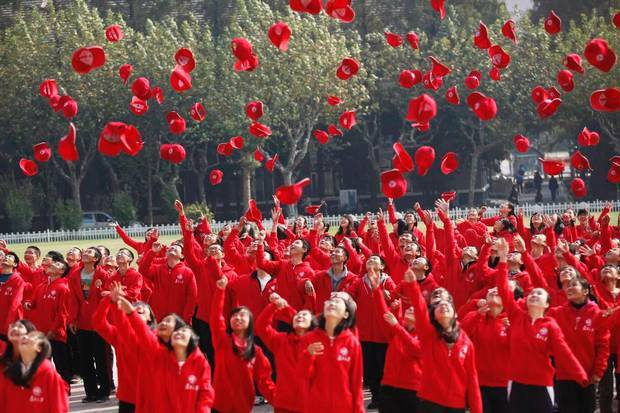 The Communist Youth League (CYL) is the CPC's youth wing, and the largest mass organization for youth in China. According to the CPC's constitution the CYL is a "mass organization of advanced young people under the leadership of the Communist Party of China; it functions as a party school where a large number of young people learn about socialism with Chinese characteristics and about communism through practice; it is the Party's assistant and reserve force." To join, an applicant has to be between the ages of 14 and 28. Communist Party of China Facts for Kids. Kiddle Encyclopedia.